Als Anhang sende ich Ihnen die Screenshots. Pünktchen alles sein, aber wir gehen stark davon aus, es sich hierbei um abgelöste Eispartikel oder Lackteilchen handelt welche sich an der ISS ständig ablösen. Diese Eispartikel entstehen durch Ablassen von Abwasser an der ISS, da das Wasser versprüht wird und sich sofort an der Außenhaut als Eis absetzt. Wenn leichte Erschütterungen dann in der ISS erfolgen durch Steuerungsdüsen der Soyuz-Raumschiffe zum Anhaben der Umlaufbahn oder aber durch die starke Anstrahlung der Sonne, lösen sich diese Eispartikel und werden von der Kamera erfasst. Da sie recht nah an der Kamera sind entsteht der Eindruck von Schnelligkeit und von weit draußen. Wenn Sie einmal den Live-Start einer Rakete verfolgen, werden Sie solche "schnellen Eispartikel" beim Ablösen im Orbit auch sehen können wenn sogenannte Opferkameras die Abtrennung der letzten Stufe vom Satelliten zeigen. It’s mostly a bunch of space dandruff, he says. IF YOU HAPPEN TO FREQUENT the more UFO-happy corners of the internet, you’ll see a lot of weird things: exploding blue lights high above the horizon, eerie white specks floating around the Space Shuttle, and something called “space dandruff”. If you don’t believe your eyes, try scrolling down to the comments. You might find, sprinkled among them, the strangest sight of all: former NASA employee James Oberg, calmly explaining what is really going on. Oberg worked at Mission Control in the late ’90s, and then became a space journalist and historian. A few years ago, he picked up a new hobby: taking UFOs seriously. Unlike other debunkers, Oberg is less into dismissing theories offhand (an activity he calls “stomping on dormice”) and more interested in figuring out exactly why people react so strongly to outer space images and footage. Here are three outer space phenomena that Oberg says tend to bamboozle the human eye, and the truth behind them. Last November 7th, Californians who happened to be out stargazing got a little more than they bargained for. 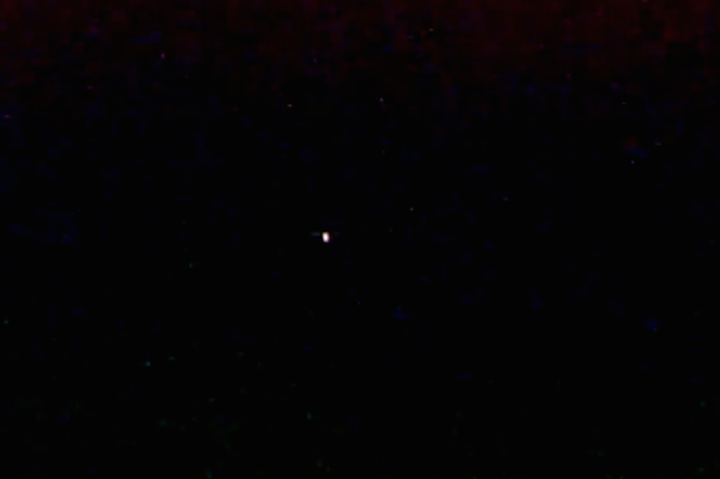 Around 6 p.m., a strange object began shooting across the sky, drawing mass attention. Then, before their eyes of a freaked-out populace, it erupted, growing what looked like a huge, bright tail of blue flame. The sight sent the whole state into a frenzy. Even Julien Solomita and Jenna Marbles, rapid-talking YouTube stars whose footage of the event has been viewed nearly 10 million times, stayed quiet for several minutes as the weird thing passed overhead. But you don’t really need a spiritual void in order to jump to conclusions about an expanding cone of blue light high-tailing it across the sky. You just need eyes that grew up on Earth. As Oberg explains, that giant blue blast was actually a plume—a swarm of particles emitted by a rocket thruster as it shoots through space. 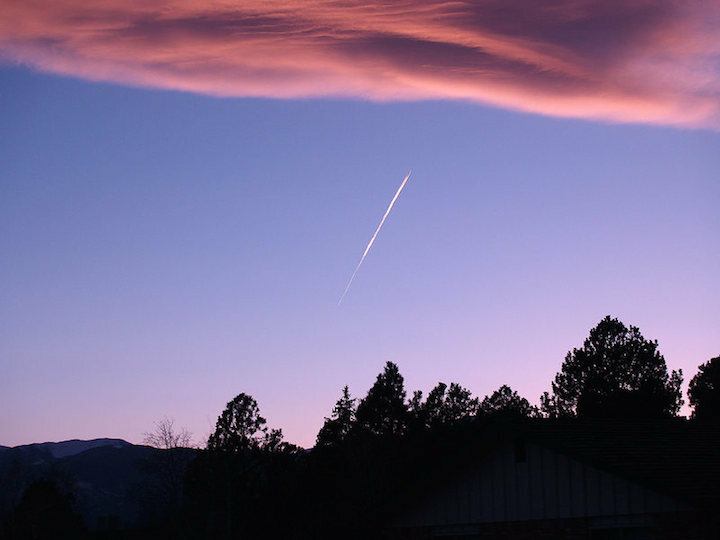 We’re used to seeing bulbous smoke plumes, or the skinny vapor trails left by planes. Rocket plumes, though, look and act much differently. Because they’re unencumbered by air, they spread out into wide-angled cones. Some of the particles even ricochet off the rocket itself, and end up in front of or alongside it, expanding the plume further. Most importantly, if the rocket is high enough above us, it might be in full sunlight, even if we, its observers, are still in the dark. This effect is most pronounced at twilight. From Earth, and to our untrained eyes, the object looks like it’s shooting fire—but it’s really just a plume, enjoying some solar backlight. 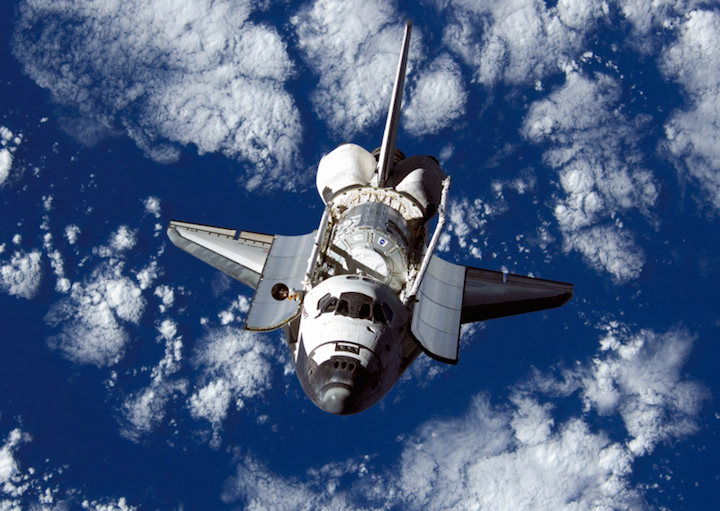 Many NASA space shuttles went up with backward-facing cameras, which researchers used to study lightning pulses and other phenomena. 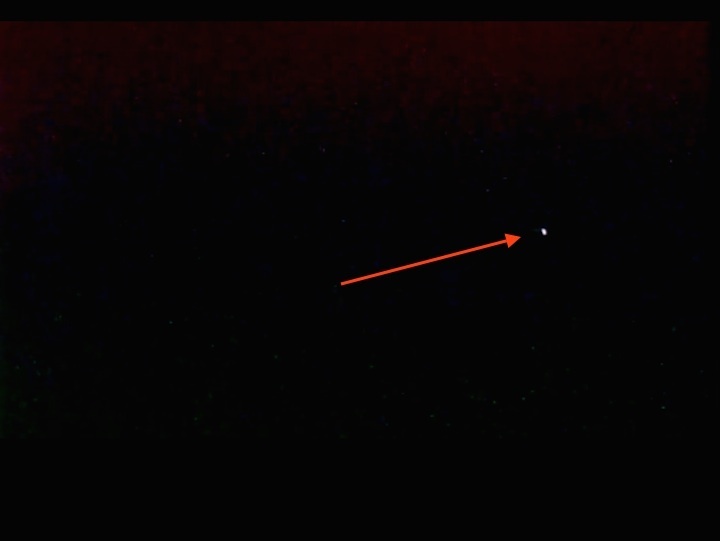 Footage from these cameras, much of which can be found on YouTube, largely shows grainy views of the Earth from above. Sometimes, though, mysterious white spots will pop up and “dance” in front of the camera. 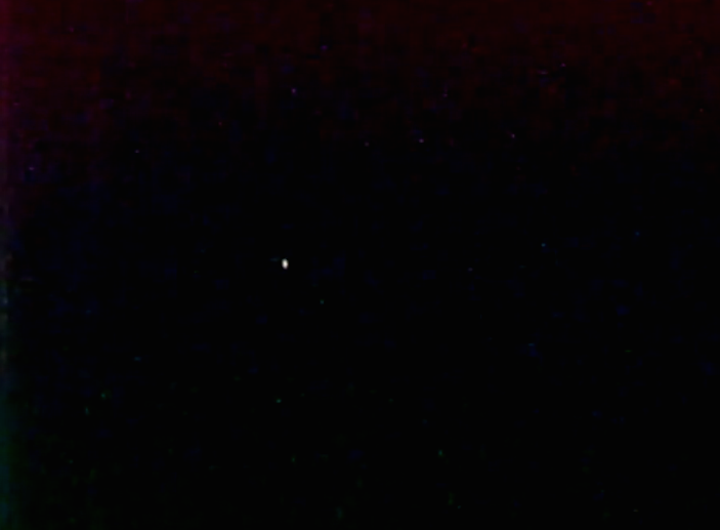 (In the video above, which shows the so-called “Zig-Zag UFO” from STS-48, these spots are best visible starting around 3 minutes in.) Viewers have speculated that these lights are anything from “Star Wars testing” to rogue satellites to alien crafts. If there’s enough dandruff out there, watching it can even be a beautiful experience. When Oberg worked at NASA, he and his coworkers would sometimes take breaks to watch these videos for fun. “The earth’s still dark, the sky is full of stars, and these little snowflakes are playing out there, tumbling,” he remembers. While poring over similar videos recorded by various space shuttles, Oberg noticed that all the most convincing ones had something in common. 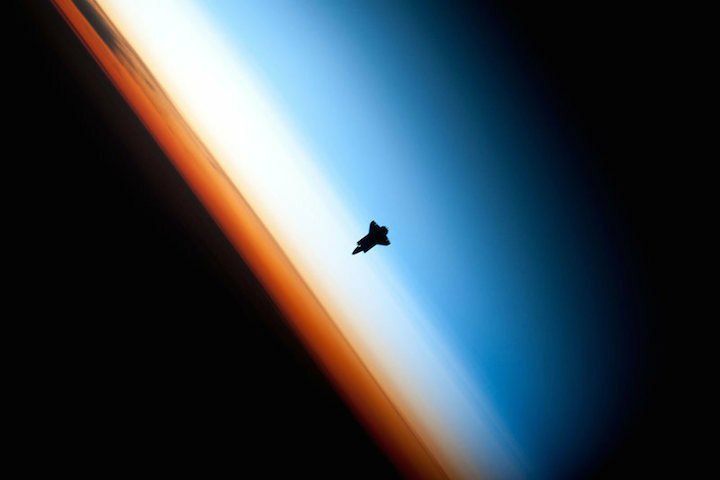 “They tend to occur at a very special time every orbit, when the shuttle has just come up out of the Earth’s shadow and is now bathed in sunlight,” he says. 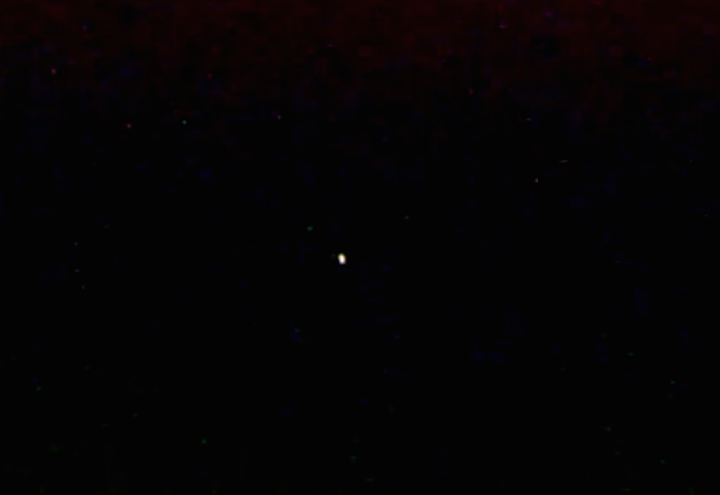 “The camera is pointed back toward the receding horizon, and stuff suddenly appears, like it’s coming up from behind the horizon, or behind a cloud.” You can see this in the above video, from the Space Shuttle Columbia’s November 1996 mission. Extraterrestrial buffs are particularly into the part around five minutes in, when small specks of light blip in and out of sight, eventually forming a roughly circular shape. Even if you happen to know that most shuttle-adjacent objects are just dandruff, their sudden appearance and disappearance might be cause for confusion. But as Oberg explains, the objects aren’t actually jumping through a wormhole, or rising suddenly over the horizon—they’re just moving in and out of the shuttle’s shadow. On Earth, when an object blocks sunlight from reaching something, like the ground, a wall, another object, it casts a shadow on its surface. Since space lacks such a surface, the Shuttle’s shadow is invisible—until, suddenly, it swallows up some dandruff, and then spits it back out. Oberg calls this “twilight shadowing.” “You can see things floating out of it and floating into sunlight,” says Oberg. “They look like stuff that’s coming up from beneath the clouds, or from beyond the edge of the Earth.” Really, though, they’re just coming back into our line of vision.